Employee retirement savings plans come in two main flavors: the traditional 401(k) and the Roth 401(k). The benefit of a Roth 401(k) over a traditional 401(k) after retirement is that distributions from a Roth 401(k) are tax-free, but there is a little-known situation where distributions can be taxed. Contributions to a traditional 401(k) are made pre-tax, so while it reduces your taxable income in the year you contribute to it, you have to pay taxes on the money you withdraw during retirement. On the other hand, contributions to the Roth 401(k) are made after taxes. This means you won't have to pay any taxes when you withdraw the money. Some employers offer to match any contributions you make to your 401(k) as an employee benefit. If your employer matches your Roth 401(k) contribution, the contributions will be made before the employer pays taxes on it. This means you will have to pay income taxes on the match and any growth associated with the match when you take distributions. In other words, the employer match is treated like a traditional 401(k). The maximum amount you can contribute to a Roth 401(k) (in 2018) if you are younger than age 50 is $18,500 per year. If you are older than 50, you can contribute $24,500 (in 2018). Your employer can match as much of your contribution as it wants, but the total contribution to a Roth 401(k) (in 2018) cannot exceed $55,000 or 100 percent of your salary, whichever is less. 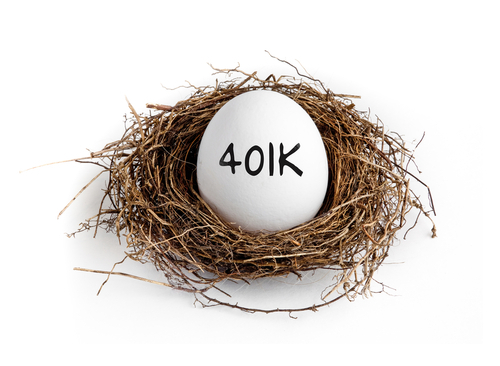 For more information on the tax on employer contributions to a Roth 401(k), click here.